Try this super simple to follow workout for a fast effective full body routine. 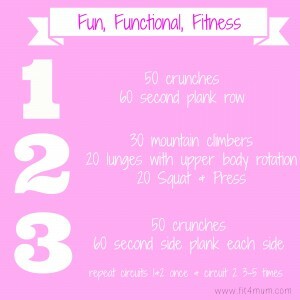 This includes all the key elements you need in a functional workout. Pushing, pulling, lunging, squatting and rotation movements as well as a little core sting! Complete the first two exercises together, then repeat the middle three exercises 3 times, closing it off with the last 2 exercises and you are done and dusted my friends!